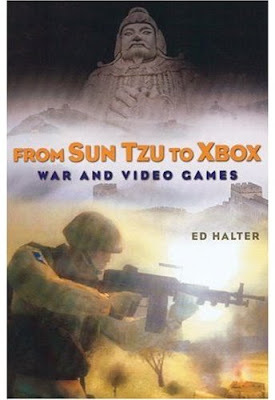 Experience Points: Book Review: "From Sun Tzu to Xbox: War and Video Games"
Book Review: "From Sun Tzu to Xbox: War and Video Games"
In From Sun Tzu to Xbox: War and Video Games, Ed Halter attempts to elucidate the tumultuous relationship between video games and warfare. Beginning with a survey of war's historical representation in games, the book winds through World War II, the birth of computers, and the subsequent proliferation of computer technology in both the military and entertainment sectors. In doing so, Halter makes a compelling case for viewing the link between warfare and video games not as a one-way channel, but rather as a porous wall: a wall allows the two spheres to intermingle, blurring the line between reality and virtual reality. Halter begins his study with a brief discussion of games' historical association with war. Games have been used to simulate organized combat since antiquity. Whether it was Egyptian Pharaohs or Viking raiders, games about the strategy of combat were used as both diversions and educational tools. 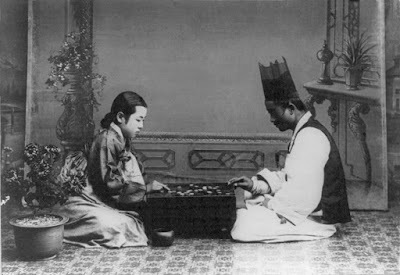 The conflagration of battle and gaming grows stronger through medieval times and into modernity (a claim based largely on the generous availability of primary sources), as games like chess and go assume their positions as quintessential examples of war games. With the advent of industrialism, chess variants such as Kriegsspiel and the mass appeal of toy soldiers more explicitly linked gaming with waging war. Halter's narrative of video games' birth dovetails with countless other stories in American history: despite being a nation ideologically obsessed with independence and autonomy, the interest and funding of the federal government has been critical to video games. Early games like Spacewar! were created on machines designed to fight the Cold War. Machines created for venues like Vietnam instead became virtual battlefields for students looking to take advantage of the latest technology. Soon, schools like Stanford had to explicitly forbid people from using the computers to play games during business hours. "Even without knowing it, you're being prepared for a new age...I recently learned something quite interesting about video games. Many young people have developed incredible hand, eye, and brain, coordination in playing these games. The Air Force believes these kids will be outstanding pilots should they fly our jets...Watch a 12-year-old take evasive action and score multiple hits while playing Space Invaders, and you will appreciate the skills of tomorrow's pilot." Games like Atari's Battlezone demonstrated the rising popularity and sophistication of games, as well as their utility in the eyes of the military. While the Army-commissioned version of Battlezone may not have caught on, military integration continued to grow with the rise of increasingly complex games, as well as the mod scene. 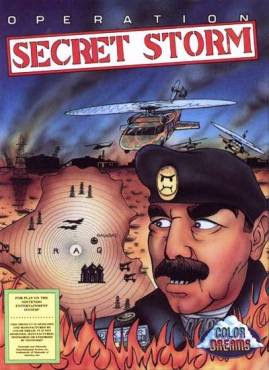 By the 1990s, there were army recruiters in the arcades and clear engagement with contemporaneous conflict in games, such as Operation Secret Storm. In the book's second half, Halter displays his keen sense for journalistic profiles. A parade of strange, almost secretive folk residing in the nexus of the entertainment, military, and edcuation industries describe their work towards creating the perfect war simulation. Companies with deceptively bland names like the Institue for Creative Technologies combine talented people from the Hollywood, academia, and the military in the hopes of creating increasingly useful military training tools. Halter makes a strong argument that, if a holodeck is ever created, it will be on Uncle Sam's dime. Halter ends by bringing the focus back to the cultural complexity of war in games, a complexity that has grown more tangled since the days of chess andkriegsspiel. 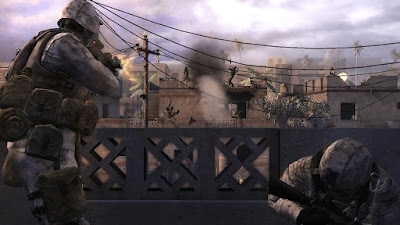 From mainstream games with military endorsement like Kuma War and Full Spectrum Warrior, to the menagerie of social commentary-meets-pulp works found on Newgrounds, it is clear that video games are at once used to lionize and criticize war. Discourse from accross the ideological, artistic, and financial spectrum is both created and analyzed by the medium. From Sun Tzu to Xbox is an important book, as it demonstrates an academic approach to games that takes a different tact than traditional "games studies." Instead of theoretical constructs, Halter uses games as evidence to explore society's views on war and gaming. By the end of the book, it is clear that, while shocking, games like Six Days in Fallujah are nothing new. War and video games are no strangers to one another, and all signs suggest their relationship will only grow closer. Very informative post! Much of the Download Games concepts are are basically linked to history. Not much updated in war games anymore. And I am happy that I got to come across this blog. Individuals were burning company time on video games as far once again as the early seventies.This was initially seen as an encouraging sign as to the condition of our youth.There are some ridiculously costly toys out there left over from the days prior to the best graphical simulators in the world weren't found in every young person's bedroom.H.G. Wells composed two guides,including complex standards,to rucking up a few covers on the floor and playing toy soldiers.